I am sooo tired of comfort food. During my entire pregnancy I craved heavy, gravy-y, rich comfort food. Now that our little bundle is here I can't get far enough away from it. Except for Oreos. For some reason I can't stay away from Oreos. I'll blame it on the breast feeding. Besides my Oreo shortcoming, I'm craving fresh, light and healthy food. Maybe it is the New Year... or maybe it is my body's way of telling me it is no longer time to store 'maternal weight' that is influencing my lighter urges. Whatever it is, I'll take it. Thank goodness for the aptly timed winter citrus season. 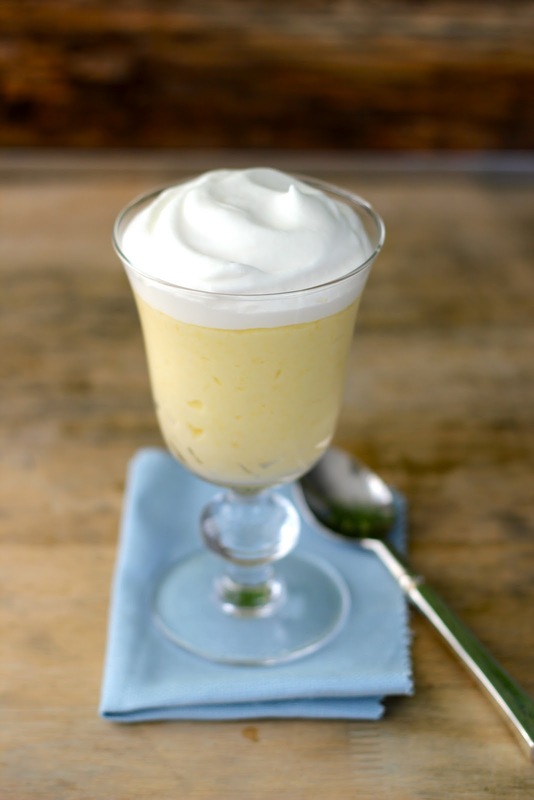 What could be more fresh than a refreshing lemon dessert? By the way, does anyone else think that it is strange that citrus season is in the middle of winter? Seems like it should be a summer thing... I'm glad it is not. The freshness is just what I need right now. 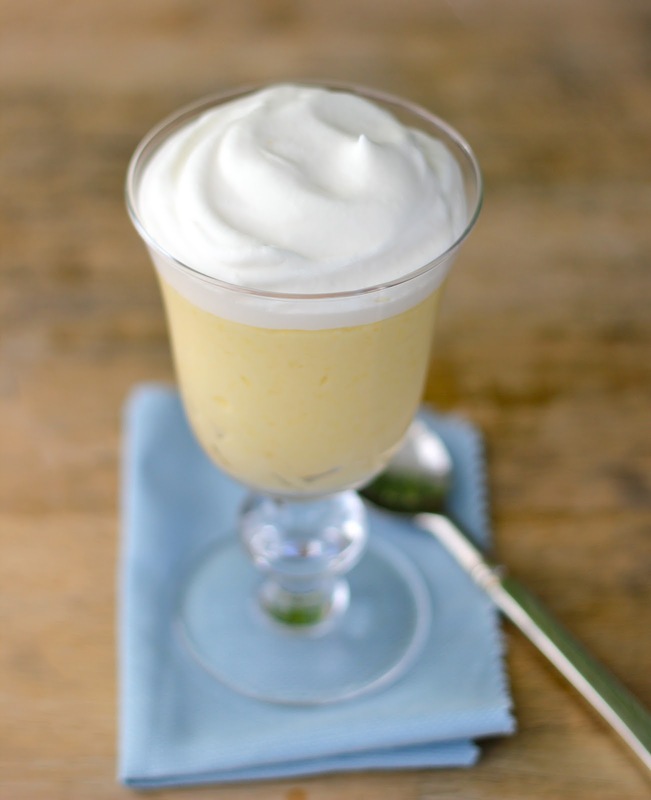 This Lemon Mousse is light, airy, fresh and creamy. Great by itself served in a parfait glass topped with whipped cream, but it would be equally great in a graham cracker crust or mini tart shell. If you are short on time, you can buy a pre-made lemon curd, and just add gelatin and fold in whipped cream. However, store-bought lemon curd can be expensive, so the homemade version is a more cost effective option if you have the time. In a small bowl add the water and sprinkle the gelatin on top. Allow it to 'gel' for about 10 minutes. Meanwhile, melt the butter in a heavy bottomed sauce pan over medium heat. Remove from heat and add the sugar, salt, lemon juice and zest. Whisk together and then add the egg yolks. Place over medium low heat, stirring constantly with a whisk. Cook until the mixture has thickened and coats the back of a spoon (this should take roughly 8-10 minutes). Do not allow the mixture to boil or it will curdle, if it begins to steam remove it from the heat for 20 seconds to allow it to cool then return it to the heat. Once it has thickened, whisk in the gelatin. Allow this mixture to cool to room temperature, stirring occasionally. 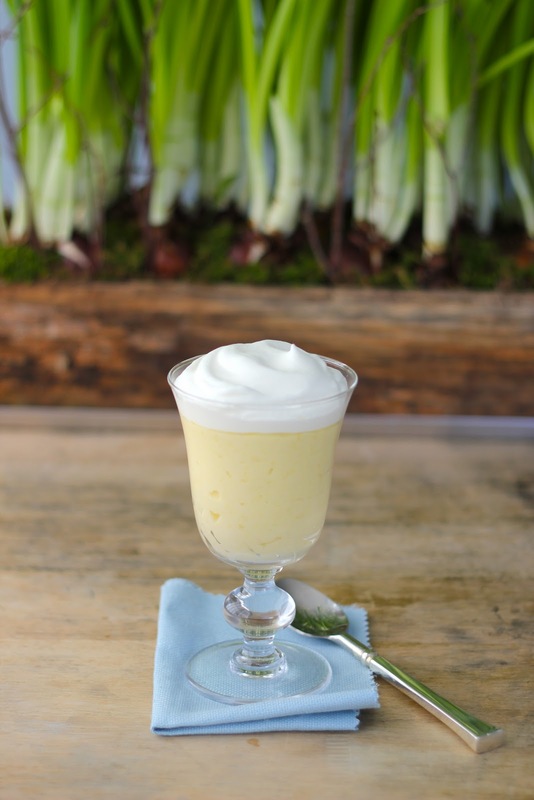 Once the lemon curd has cooled, beat the whip cream to stiff peaks. Adding half of the whipped cream into the lemon curd, gently fold it in. 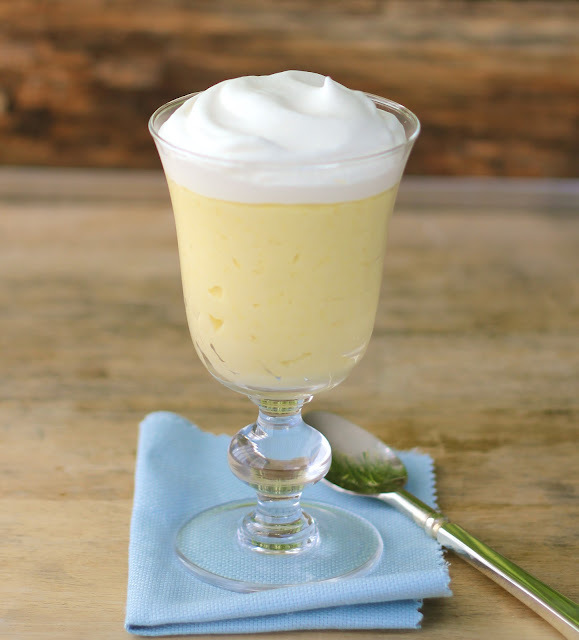 Pour the lemon mousse between 4-6 parfait glasses. Top with a large dollop of the whipped cream. every year around Feb I get cravings for everything lemon. Looks so light and fresh. Delicious for a dinner party. I just arrived here via Pinterest, and I think I'll be on your site for a while tonight! What a gorgeous blog! Same here..arrived from Pinterest and saw this lemony goodness. I needed something to cure my holiday ennui, and this is it!